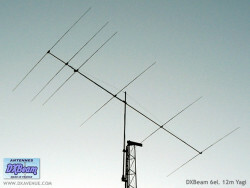 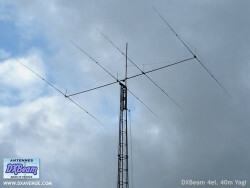 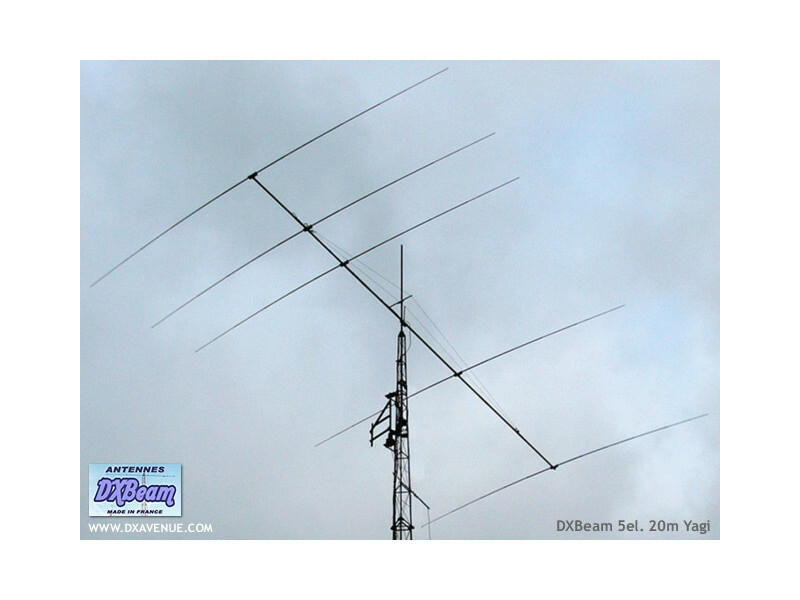 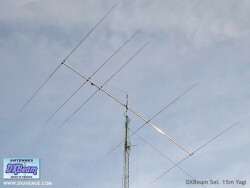 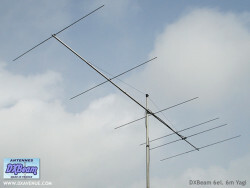 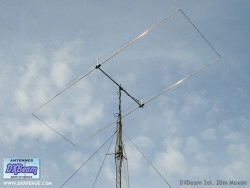 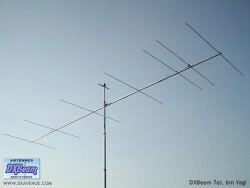 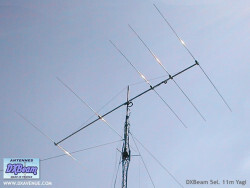 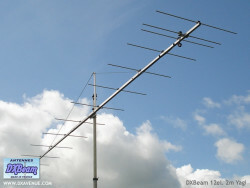 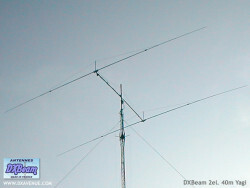 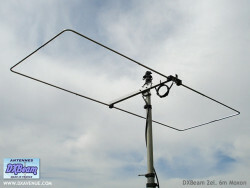 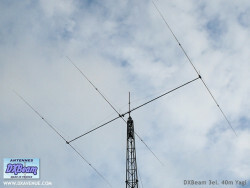 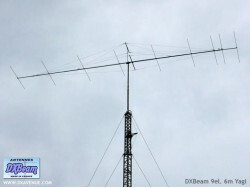 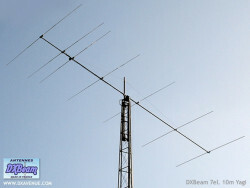 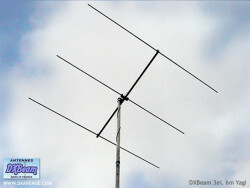 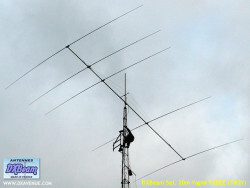 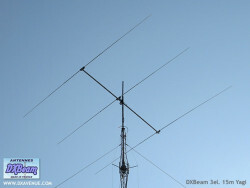 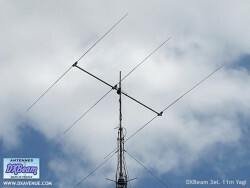 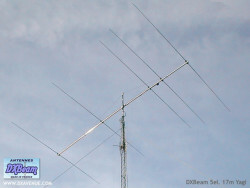 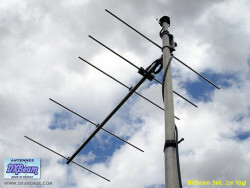 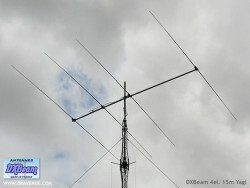 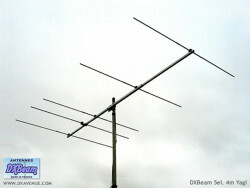 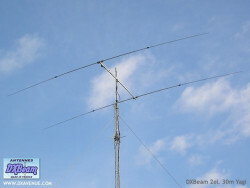 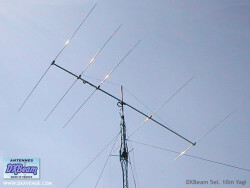 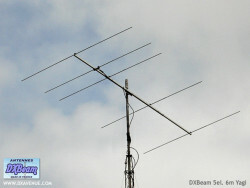 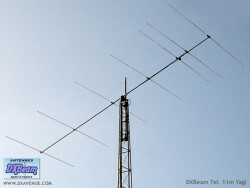 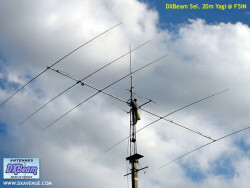 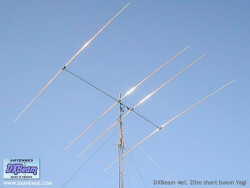 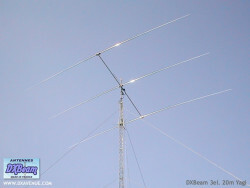 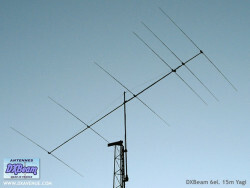 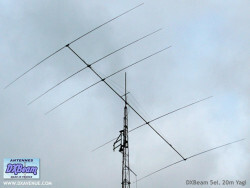 20 meter 5 element beam Yagi (14 MHz). 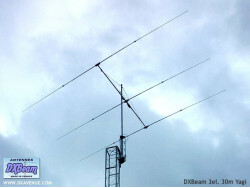 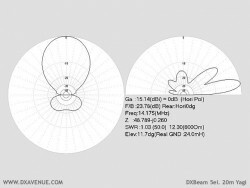 1 - "Over the boom" guy set with vertical support included : Due to the weight and size of the 5 element 20m beam, an "over the boom" guy set providing vertical support is now included. 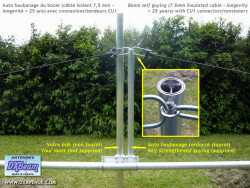 The set consists of a reinforced tube (1m long, 50mm in diameter and 5mm wall thickness) to which the 7.5mm non-metallic tensioning cable (CU1) attaches. 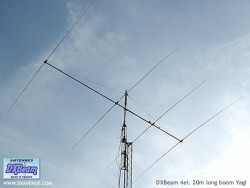 (see pictures above). 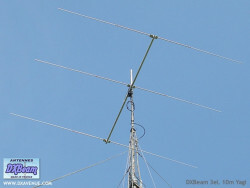 Tensioning is done whilst the antenna is at ground level, ie. 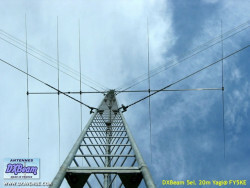 prior to its installation on the mast/tower. 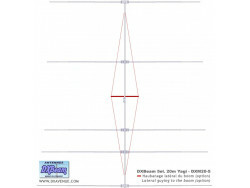 2 - Lateral guying to the boom recommended : Should you live in a region where wind, snow or ice are common place, we recommend adding lateral guying to the boom. 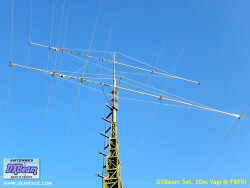 This addition could also be of interest to those who have towers without tower tram systems. 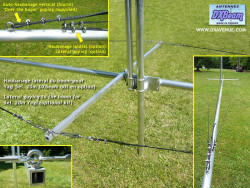 It prevents the boom from being subjected to unnecessary mechanical stress during its installation. 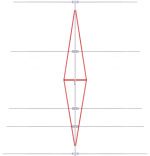 If you choose to add this diamond shaped guying yourself, be sure to do so using non-metallic cables. 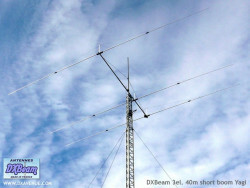 Lateral guying to the boom kit for DXBeam 5 el. 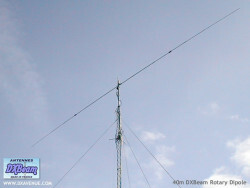 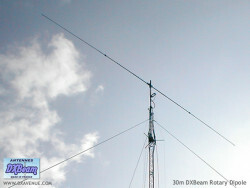 20m Yagi (DXM20-5).